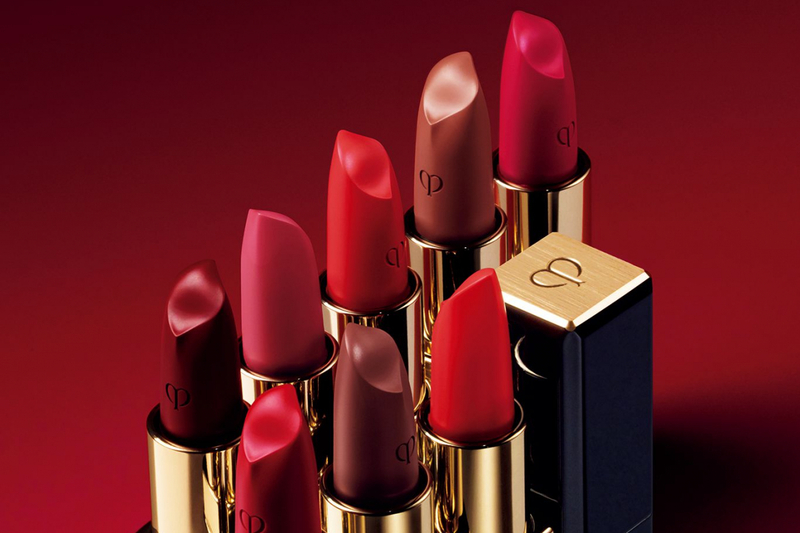 Update your vanity box with rouge lipsticks that are oh-so-on-trend now in November. Here are five new rouge lipsticks we are crazy about. Rouge Dior Ultra Rouge is the first long-wearing lipstick from Dior that offers a lightweight formula and high-pigmentation. Ultra Rouge can be worn for up to 12 hours, and it give your lips a luminous, semi-matte finish. Available in 26 red shades, this lipstick is composed of a polymer combined with a plant-based oil that gives absolute hydration and comfort. Lancôme has released a limited edition of L’Absolu Rouge in a sparkling rose gold case. There are 3 shades you can choose from—and 2 finishes too: satin and matte. Starlight Sparkles L’Absolu Rouge is infused with moisture-boosting Pro-Xylane which is leaves your lips moist, soft, and comfortable for up to eight hours. With this deeply hydrating lipstick that’s enriched with antioxidant-rich vitamin E, you can make your lips look and feel healthier everyday. After Joli Rouge and Joli Rouge Brillant, Clarins offers a new matte finish on its legendary lipstick called Joli Rouge Velvet. This Joli Rouge Velvet is a 2-in-1 makeup and skin nourishment for your lips. It not only gives you a luminous matte look, it also gives your lips hydration for up to 6 hours, thanks to its salicornia extract and organic apricot oil. Joli Rouge Velvet is available in ten shades. Inspired by cashmere, this lipstick is made of illuminating hydro-wrap complex and premium argan tree oil, like luxury skincare delivered to your lips. Available in 8 shades, Lipstick Cashmere has a flexible and light transition powder, creating a finish that doesn’t crack. It also has oil banishing powder to achieve smoothness. It offers a matte look with concentrated pigments that don’t drag as they apply. Estée Lauder released its rouge excess lipstick called Pure Color Desire in two irresistible finishes : creme (creamy satin) and chrome (creamy pearl shine). It claimed that this lipstick will give you a potent color in one stroke and plumping moisture. Pure Color Desire is one of Estée Lauder’s highest pigment lipsticks and has 8-hours of bold color impact. The creamy-rich formula is instantly hydrating; it make your lips look plump, sensuously smooth.